Investigative bodies under Russia's control in Crimea have opened two criminal cases against Crimean Tatar Renat Paralamov, who was taken away from his home in the occupied Crimea and was tortured by unidentified people wearing masks, according to the Crimea.Realities online newspaper. "Yesterday, I learned that the military prosecutor's office refused to open a criminal case against FSB officers who searched Renat Paralamov's home and then took him away with a bag on his head and tortured him. At the same time, they opened two criminal cases against Renat on counts of illegal sale of explosives, ammunition," the newspaper quoted Emil Kurbedinov, the lawyer for Paralamov's family, as saying on Saturday, June 30. 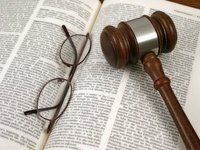 According to the lawyer, Crimean lawyers are collecting all the necessary documents so as to transfer the case of Paralamov and other abducted Crimeans to international institutions, in particular the UN Special Rapporteur on Torture and Other Cruel, Inhuman or Degrading Treatment or Punishment. "We have recently talked with the UN special rapporteur on torture applied in Crimea against detainees and those who are taken away from home after the search in an unknown direction. We spoke in detail about the case of Paralamov and Reshat Ametov. In the near future we will provide a special appeal to the special rapporteur so that he could bring claims to the Russian Federation," reads the report, citing lawyer Lilia Gemedzhi.